Francesca Amaro moves back to her hometown of Cape Bay, Massachusetts, and takes over the family business, Antonia's Italian Cafe. 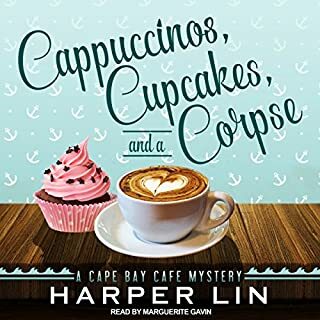 She spends her days making delicious artisan cappuccinos - until she stumbles upon her neighbor's dead body. When the police discover Mr. Cardosi was poisoned, Francesca becomes a suspect. The victim's son, Matty, happens to be Francesca's old high school friend. Together they uncover the secrets of the locals in order to find the killer in their idyllic beach town. One of Sabrina Carlson's oldest friends is found murdered. Unfortunately, she doesn't have time to grieve. After all, the killer is out there somewhere. And she isn't about to let them get away. Instead, Sabrina is going to do everything in her power to bring the guilty party to justice - even if it means risking her life. But is she really prepared to discover the truth? Or will this investigation break her? When Julia discovers that homeless people are dying suspiciously and the police aren't investigating, she can't sit back and do nothing. She dives headfirst into the case, aided by her new Detective Inspector boyfriend, Barker. 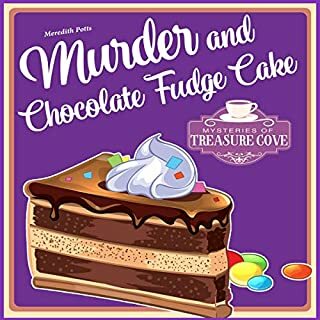 Convinced that there is a killer preying on the vulnerable residents of an old burnout warehouse, Julia must solve the mystery...but can she crack the case before more bodies turn up? When Ellie Kent moves to an English village with her new husband Graham, she fears the villagers will always see her at that young American who snared their attractive vicar during his sabbatical in California. But this challenge is nothing compared to what happens when she stumbles across a body in the churchyard. The villagers insist they don't know the murdered man, so suspicion mounts that the killer must be the incomer - the vicar's new wife. As evidence piles up against her, Ellie tries to stay one step ahead of the police to unravel a decades-old literary mystery and love story. Mae West, a far cry from the Hollywood actress, has been thrown for a loop. 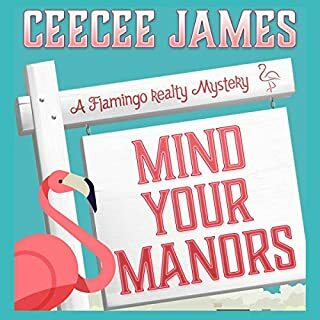 Her plush lifestyle in the big city of New York comes to a screeching halt after the FBI raids her mansion and arrests her husband, Paul West, for a Ponzi scheme that rips people out of millions of dollars. Mae finds herself homeless, friendless, and penniless. All hope isn't lost... the only thing Mae got to keep that the government didn't seize is a tourist camp ground, Happy Trails, in Normal, Kentucky. Julienne has her ideal job as an event planner at a prestigious resort. During a luncheon event she coordinated, a renowned celebrity pastor is killed next to the buffet. All eyes turn to her as the suspect. If she wants to stay out of jail or even keep her job, Julienne needs all the help she can get to solve the crime. She has her work cut out for her with a vengeful high school rival (now reporter), the public demanding she be fired, plus family who knows what's best for her, and a boyfriend who doesn't understand her. Knight Mulcahy makes 40 million a year on his top-rated radio show trashing people. Until the night he’s found down at his pool house with his skivvies around his ankles, a bullet in his heart. Enter Palm Beaches finest: homicide cops Charlie Crawford and Mort Ott, who proceed to go in circles as the suspect list ramps up to double digits. Burned out by hi-profile murders and his love life splashed all over Page Six, New York homicide cop Charlie Crawford heads south and signs on with the Palm Beach PD. After months of petty crimes, he's first on the scene to find a man hanging from a banyan tree. Prime suspects are a hedge-fund billionaire with a thing for young girls, a bartender with a sketchy past, and right smack in the middle of it, Crawford's girlfriend, a beautiful, conniving gallery owner, ready to do whatever it takes to move up a bracket or two. Annabelle is not your typical vicar, but her strengths prove to serve her, and those around her, very well. 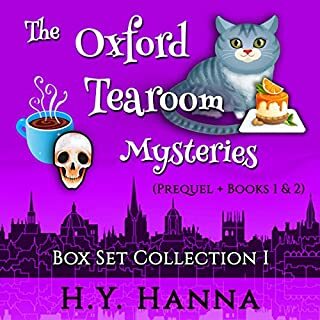 When she plans to meet her longtime friend, Sister Mary, a Catholic nun visiting from West Africa, at a local café, little does she know that she will soon find herself embroiled in a mystery of deadly design. Their meeting place is awash with horror, with Sister Mary standing in the middle, shaking, her hand over her mouth and a dead woman at her feet. The story is great! I love Alison's writing. It's August 1963 - the "silly season" for newspapers when there's little hard news. Crime reporter Colin Crampton is taking life easy at the beach with girlfriend Shirley Goldsmith. But when Shirley spots a swarthy man wearing gloves on the hottest day of the year, Colin scents a big story. Suspicion turns to certainty when Colin witnesses an audacious robbery. But nothing about the robber or the victim is quite what it seems. And as Colin and Shirley investigate further, they realise the story is bigger - and more dangerous - than anything they've taken on before. 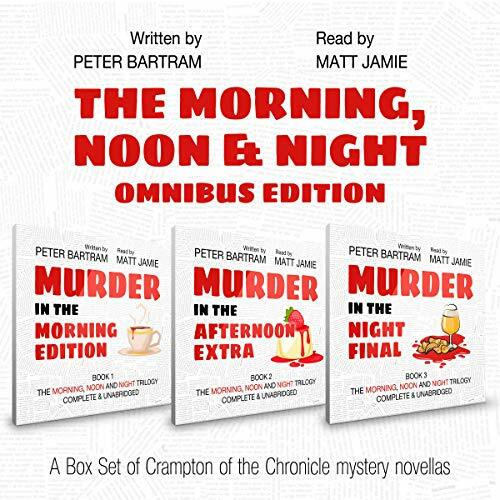 This omnibus edition of the Morning, Noon, and Night trilogy brings all three audiobooks - Murder in the Morning Edition, Murder in the Afternoon Extra, and Murder in the Night Final - together in one convenient volume. The adventure takes you on a roller-coaster mystery from Britain to America and back again. The thrills are matched by the laughs all the way as Colin and Shirley tangle with a motorcycle rocker with bad teeth, a dyslexic tattooist, and a clumsy assassin who kills the wrong people. Join in the fun as Colin and Shirley track down the bad guys. Wow!This was a terrific set of books!The storyline was engaging right up til the end! Matt Jamie was a fine narrator.I was given this book by the narrator,author or publisher free for an honest review. Couldn't stop listening. Great characters, gripping storyline, snappy dialog, wonderful British humor dry as a martini. It's got it all. What happens when a newspaper reporter is sent to find a printable story, headline worthy? An unforeseen adventure, that's what. While following a man wearing leather gloves, in 80 degree weather, a death and a disappearance happens. Of course a headline story is written about the event and the ensuing adventure takes him to the U.S.A. and back to England where everything started. The reader Matt Jamie adds to the depth of the tale and is extremely talented. Three well-written books in this audio version contains the entire story, not leaving the listener hanging until the next one is published. 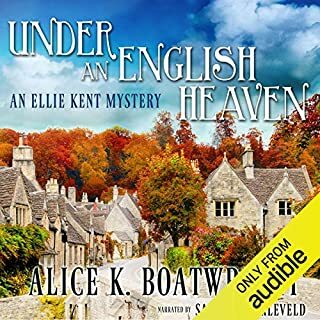 Would recommend this to anyone who love British humor and mysteries. 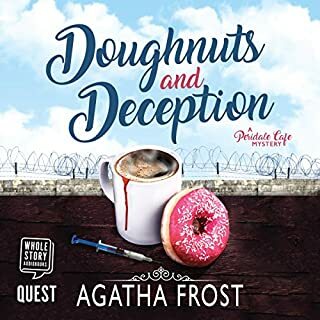 I listened to this trilogy in one day because I was captivated by each story's plot ( filled with intrigue), character development ( replete with witty banter), the ingenuity of the author in connecting all 3 stories, and of course, the narrator who brought this work to life.